These are the building blocks to living a healthier life and being mindful in these area’s will help you achieve your goal of feeling and living better. The Wellness Soldier encourages you to decrease your weight, saturated fats, cholesterol, and portion amounts. The 4 Quarters of Meal Portioning. should be a variety of fruits and vegetables that you like. 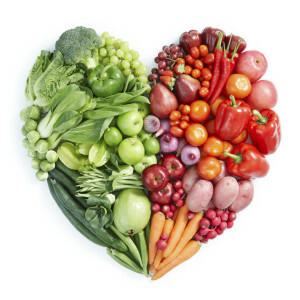 The fruits and vegetables can be raw or cooked and should be as plain as possible. That means do not load an excess amount of dressings or sauces to your vegetables as that would defeat the point of eating vegetables. Another quarter will be your meats and meat substitutes. This can be any meat that you like, whether it be beef, chicken, turkey, duck, ostrich, and even crocodile. Find out what your favorite meat is and then have fun with cooking it. The last quarter will be your whole grains and starch portion. You can make just about anything you want with potatoes, rice, quinoa, risotto, gnocchi, or whole wheat pasta. So again, go ahead and have fun with your favorite whole grains. Each day eat at least 5 servings of vegetables and fruit with 6 servings of grain products, especially whole grains such as brown rice, quinoa, and buckwheat. Eat 2 servings of a fatty fish such as salmon, trout and tuna per week. Weight loss helps your weight bearing joints prevent deterioration and is imperative for a healthy lifestyle. Losing weight seems like a mystery to most people but it’s really simple; Burn More Calories Then You Eat!! You can increase activities that increase calorie demands, such as aerobic exercises and strength exercises. Or simply decrease your calorie intake. Weight loss will occur at a rate of 1-2 pounds per week. This may seem slow to you but “Prevention of obesity is easier then losing weight”, which means it is easier to simply change what you are putting into your body to lose weight then it is to train and push hard to get rid of the excess fat in your body. A healthy diet, activity, and portion size will all be helpful if followed before a weight program occurs.